Book your stay at the fabulous South View House in Alnmouth, overlooking the River Aln Estuary and fully-equipped with everything you need for a short or long break on the beautiful Northumberland Coast. Each apartment sleeps up to six guests and is dog-friendly. Prices depend on availability and time of year - book direct with WR to get the best rates! Contact our team via email to bookings@waltonrobinson.com or call 0191 231 6075 for full details of the self-catering accommodation at South View House, Riverside Road, Alnmouth. Follow us on Facebook to keep up to date with last minute deals and competitions! Offering spacious accommodation, this fabulous penthouse apartment, set in a tranquil Northumberland seaside village, enjoys a south-facing position and a decked balcony with panoramic sea views. South View Penthouse Apartment is a luxurious apartment, set in the attractive seaside village of Alnmouth. The apartment offers spacious accommodation with 3 en-suite bedrooms and benefits from a south facing position with bi-folding doors which open to the decked balcony with panoramic sea views. Inside there is an open plan lounge/dining with beautiful exposed beams, and an Italian designed kitchen, fully equipped with modern, integrated appliances. Alnmouth is an upmarket, coastal village full of charm which attracts visitors from all over the world. The golden beach is popular for relaxing strolls and ideal for families making sandcastles and playing beach games. The apartment is a few metres from a great range of restaurants, pubs, cafes, gift shops and galleries. Approximately five miles away by car is the market town of Alnwick, home to some of the country s top attractions, including Alnwick Castle and The Alnwick Gardens. Alnwick Castle is well known as being a location for Hogwarts in the Harry Potter films. Other Northumberland attractions and villages including Bamburgh, Holy Island, Amble Marina and Craster are all within easy reach. Relax and take in these amazing views of the Northumberland Coast. This view is from the penthouse apartment which features this fantastic balcony. At South View House we provide everything you need to enjoy a long or short stay with us. All kitchenware, bedding and towels are provided and of-course free WiFi is included. There is a range of bathrooms, shower rooms and en-suite shower rooms across the different apartments. All include vinyl flooring and are fitted with Artimage Shanks WC’s & basins and Crosco taps. All of our holiday let apartments at South View House, Alnmouth are fully dog-friendly. We guarantee to give you our best possible rates when you book your stay at South View House direct with Walton Robinson. Contact bookings@waltonrobinson.com or call 0191 231 6075 to book your stay or ask any questions. 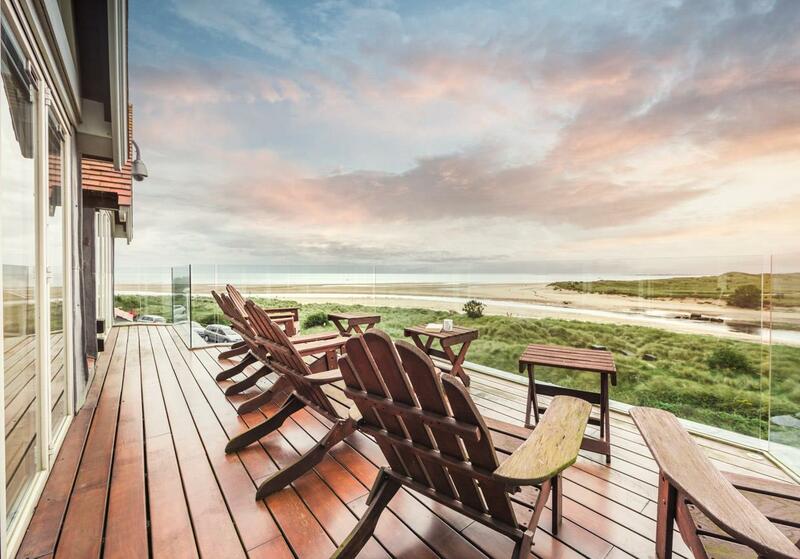 South View House is located on Riverside Road in Alnmouth and overlooks the Rivern Aln Estuary. There is plenty of parking available. The beach and local amenities are just a short walk away.